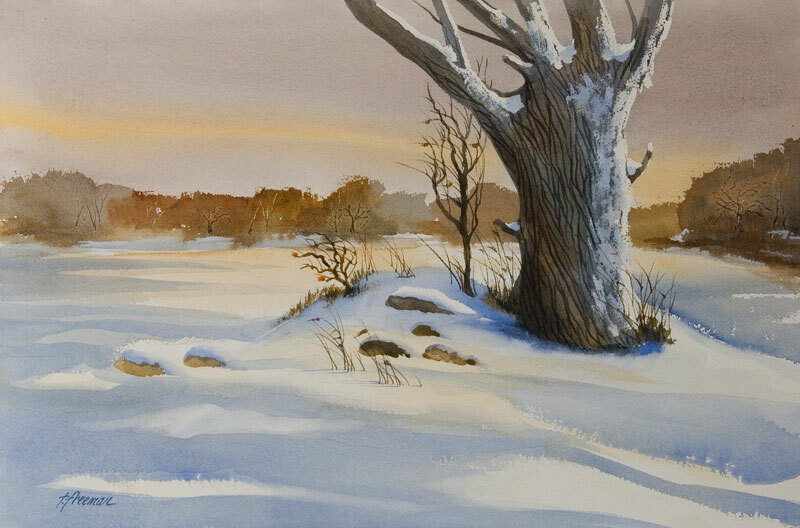 Thomas Freeman Original Watercolor Painting: "If Winter Comes"
Exploring some of the country roads in the Twin Cities area, I found this scene after following a dirt road. The initial inspiration was the line of light I saw going across the sky. I changed it into a Winter scene and modified the tree and rocks somewhat to heighten the center of interest. This painting was selected for an August 2003 article in Artist's Magazine.